Sydney Loofe, of Lincoln, Nebraska, was reported missing Thursday. The bubbly 24-year-old was last heard from the previous day, as she prepared for a second date with a woman she'd met online. "My other daughter's birthday was on [Nov. 15] and Sydney texted her happy birthday," Loofe's mother, Susi, told HuffPost. "Later that evening, she shared a picture of herself, saying, 'Ready for my date.'" What happened to Loofe after she sharedthat photo is unclear. 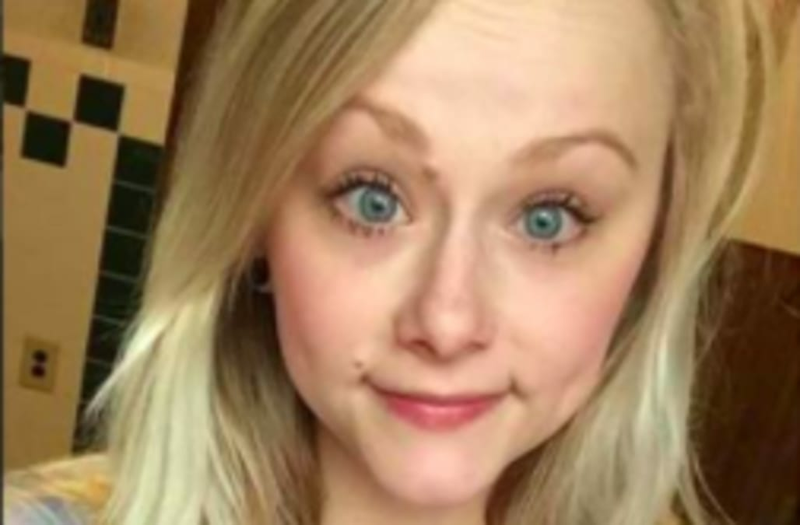 The young woman was spotted in Wilber ― some 40 miles southwest of Lincoln ― on the evening of her disappearance, according to Lincoln Police Chief Jeff Bliemeister. Loofe's cellphone also pinged a cell phone tower in that area, but it's since been powered off. Loofe's car remains parked in front of the duplex she shared with her cat, Nimzy. The missing woman's mother said the assumption is that her daughter left the apartment with the individual she'd planned to meet. Loofe had exchanged text messages with a friend, Terra Gehring, stating she was going out with the same girl she went on a date with the previous evening. "She texted me and told me about the date she had [and] ... how great it went," Terra Gehring told Omaha's KETV News. "She was excited to go on another date with her again [on Nov. 15]." Police have not released the name of the individual Loofe had been dating. Loofe grew up in nearby Neligh, a small city in Antelope County. She graduated from Neligh-Oakdale High School, where her father, George, is the principal and her mother teaches special education. It was at that same high school that members of Grace Lutheran Church in Neligh held a candlelight vigil for Loofe on Sunday evening. Approximately 250 people attended, according to Antelope County News. "I know this isn't something any of us expected to be at tonight and we're all in disbelief, but here we are as a community wrapping our arms around the Loofe family," Carrie Pitzer, one of the vigil organizers, said during the event. Loofe's family watched streaming video of the vigil. According to Susie, they found it too difficult to attend. Their daughter's disappearance is something they are struggling to cope with every day. As a child, Loofe never left home without telling anyone and had certainly never, until now, been reported missing, her mother said. The middle of three children, Loofe is described by her mother as a responsible young adult. Loofe loves spending time with family, adores her kitty, Nimzy, and enjoys fishing. She has, for the past several years, worked at Menards in Lincoln. Mernards, a home improvement store, is where Loofe landed when she decided college wasn't for her, Susie said. In fact, it was when Loofe failed to show up to Menards for work Thursday that people began to suspect something was wrong. It was out of character for Loofe to miss work, especially without calling. Bliemeister has not shared many details about the investigation into Loofe's disappearance. On Tuesday, he told reporters gathered at the police station that "the circumstances surrounding her disappearance are concerning." However, he declined to say whether his department has spoken with the individual Loofe was supposed to meet the evening she vanished. Loofe's parents are also in the dark as to where the investigation is going. "The police have been very tight-lipped about giving us any information," Susie said. "They don't want anything released that could jeopardize the investigation." Still, the family has their own theory. "We feel it is an abduction ― possible trafficking," the mother said. "But that's how the family feels and not necessarily how the police department feels." Lincoln Police and Saline County Sheriff's deputies were spotted searching for clues in the 600 block of West Seventh Street in Wilber on Sunday evening, according to the Lincoln Journal Star. Lincoln Police Officer Angela Sands later confirmed authorities were there investigating Loofe's disappearance. "Investigators received and followed up on information that Sydney was in the Wilber, Nebraska, area," Sands wrote in a Monday press release. What, if anything, investigators found is not yet known. Susie said her family has been posting flyers throughout the state and have received a lot of support from volunteers. "People have donated billboards and a truck company with 10,000 employees is passing out flyers to their truckers to put up wherever they go," she said. "We're very grateful for the good people volunteering." The family is asking people to join the Finding Sydney Loofe Facebook page. They're also seeking additional volunteers to put up posters. Anyone interested in participating can email them at findingsydneyloofe@gmail.com. "Sydney is a beautiful, young, responsible girl and she has a lot of family that loves and cares about her and we just need her home because we miss her," Brittney Flinn, a family friend from Clark, Nebraska, told KETV News. Loofe is described as a white female, 5-foot-7 and 130 pounds. She has blond hair and blue eyes. She has a yin-yang tattoo on one of her forearms, the word "Believe" with a cross on the inside of her left wrist, and the phrase "Everything will be wonderful someday" on her right bicep. She was last seen wearing a white Columbia-brand jacket and a cream-colored shirt. George Loofe was unavailable for comment Wednesday. Speaking with the Lincoln Journal Star, he said he had a message for his missing daughter: "Tell her we love her, and we're waiting for her to come home." Anyone with information on Sydney Loofe's whereabouts is asked to contact the Lincoln Police Department at 402-441-7204.